EFA 2017 participants and their guests are invited to join free guided walking tours through the city of Mannheim. Get to know the many faces of the historic city square by square. Participants and their guests can register for the city tours directly at the Registration Desk during the conference. The city tours are offered to conference participants and accompanying persons at no additional cost. Please note that the tours have limited availability. Visiting the city of Mannheim for the first time? Confused by the letters and numbers at the corner of each block? Then follow your guide through the city's checkerboard layout and learn about Mannheim's history and modern life. The tour starts with the imposing baroque palace and leads towards the buzzing center of the city - the well-known squares. From intriguing museums, spellbinding music to divine cuisine and excellent shopping facilities, Mannheim is full of variety and surprise. 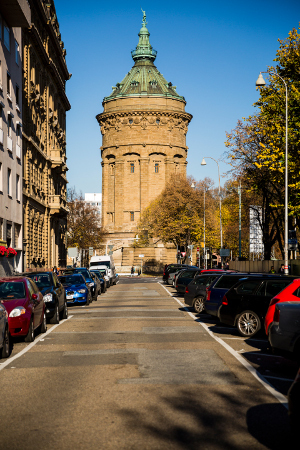 Factories, a bustling harbor, and workers’ tenements are all cornerstones of Mannheim’s history and tradition. 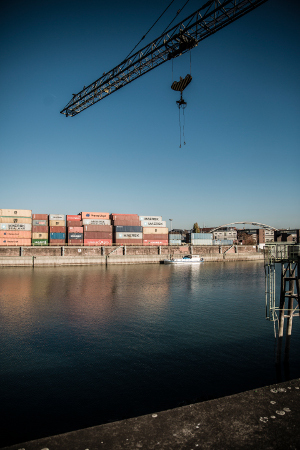 While walking along the banks of the Mühlau harbor and junction canal, you will not only experience spectacular views, but also gain fascinating insights into Mannheim’s economic history and development. You will then reach the Jungbusch district, where Mannheim's progressive movement away from tradition and towards a more modern subculture becomes especially prevalent. The pop academy, the creative center C-Hub, and the student dorms reflect Jungbusch's modern pulse while its multi-cultural diversity can be seen through the entire street scene, such as the mosque, restaurants, and pubs.